It's good to know that you're not alone in this battle. >> enter predator << That's right. 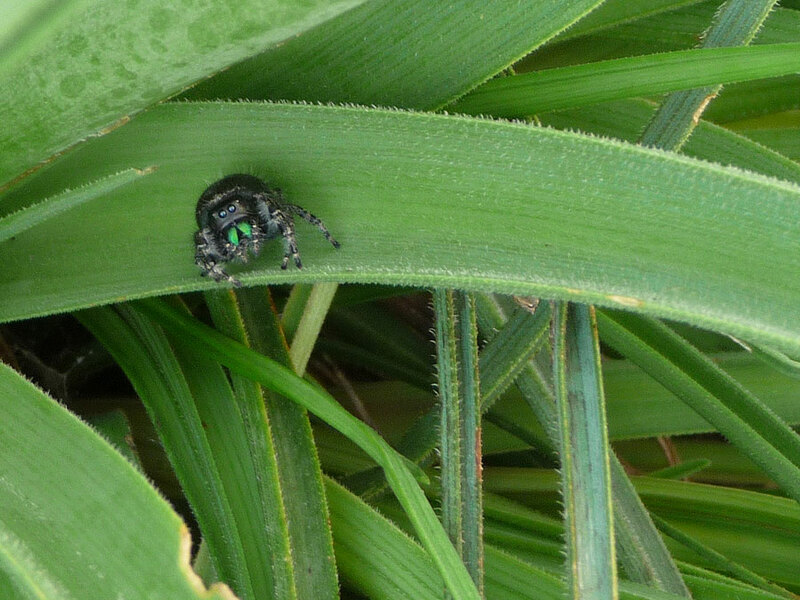 Not every creepy-crawly is out to get you. 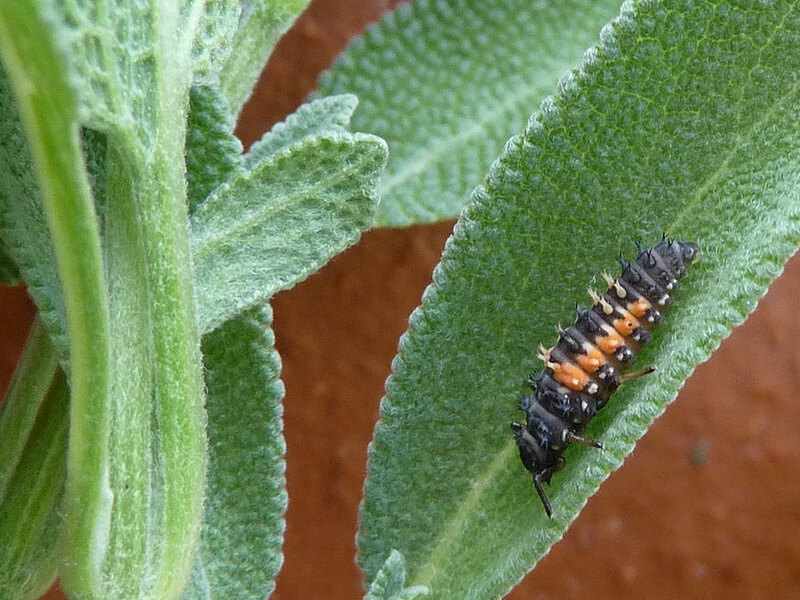 Do you know what the larval form of a lady bug looks like? Well you should!!! 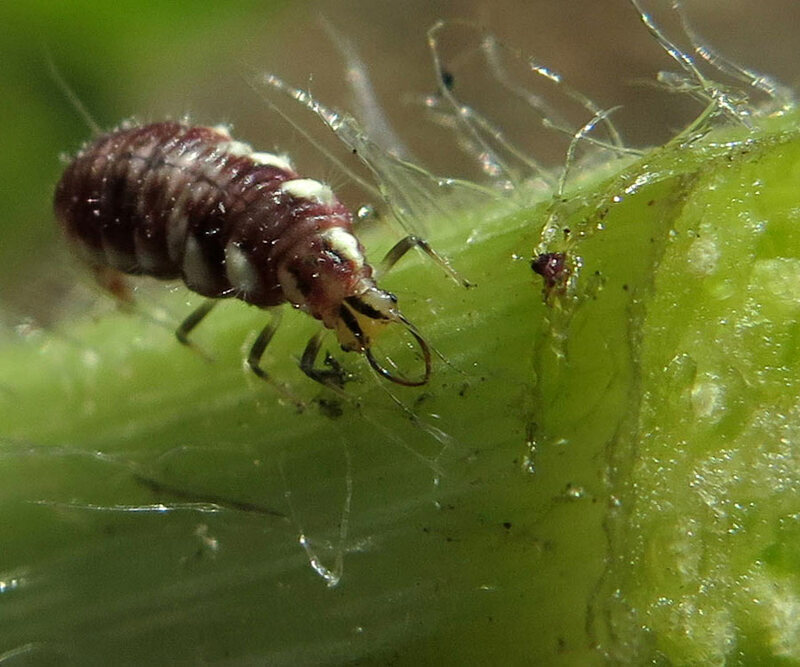 Those little guys can do a lot to help you with your aphid problem. So when you spot one, please resist the urge to squish. PESTICIDES: ARE YOU KILLING YOUR FRIENDS? Broad spectrum insecticides, whether organic or not, can indiscriminately kill the good along with the bad. 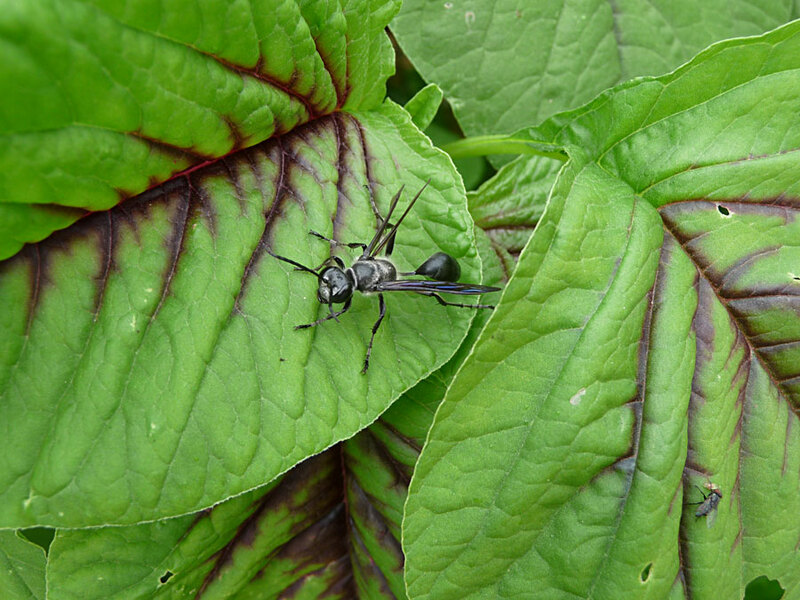 In trying to thwart some unrelenting garden pest, we may be stamping out the biologic controls that would gladly do the work for us. 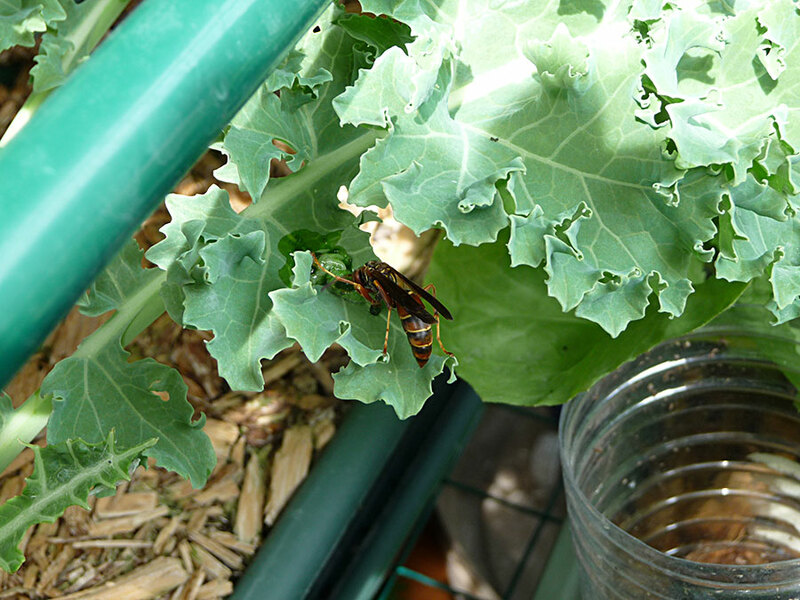 So limit the use of pesticides and instead, focus on attracting the good bugs. 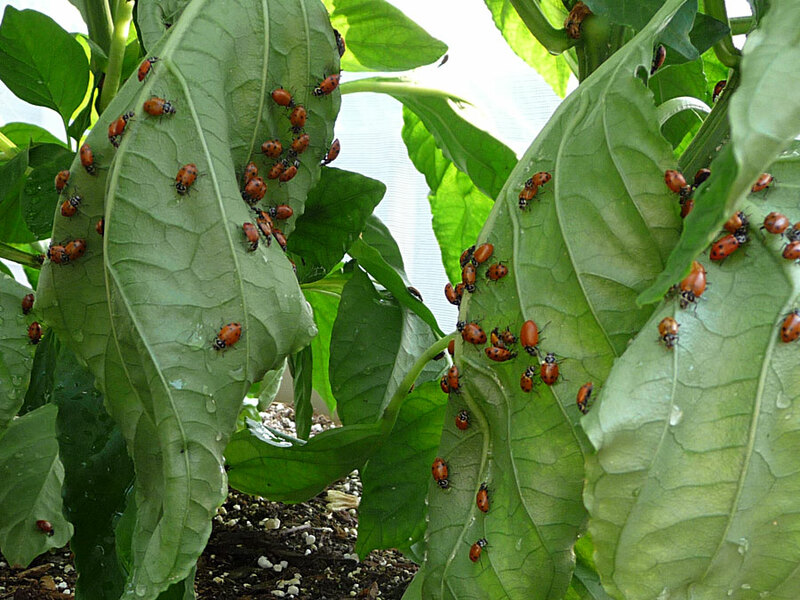 Insecticidal soaps and neem oils are less destructive options, when push comes to shove. VACANCY: CREATING AN INVITING HABITAT. In an urban setting, our yards may consist of grass, concrete, grass, asphalt and... grass. 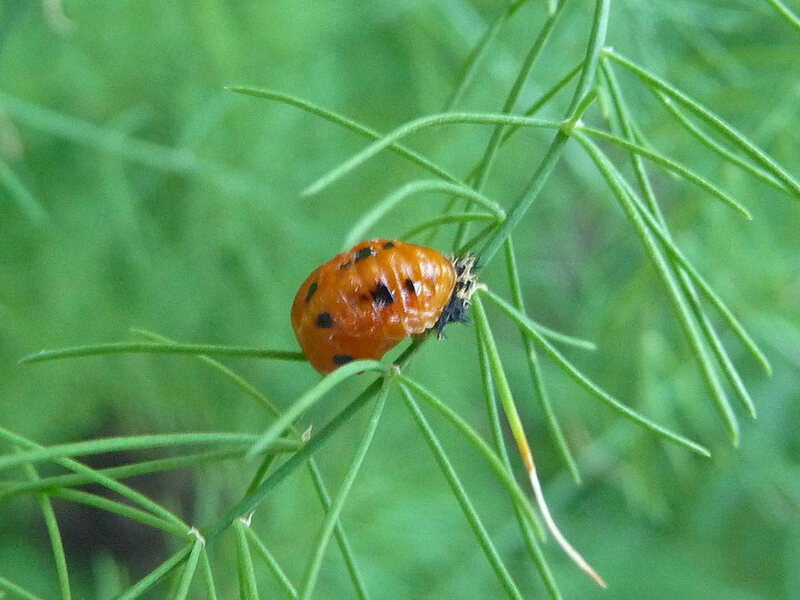 Where are the ladybugs expected to hang out all day? What cover is available for their developing larvae? 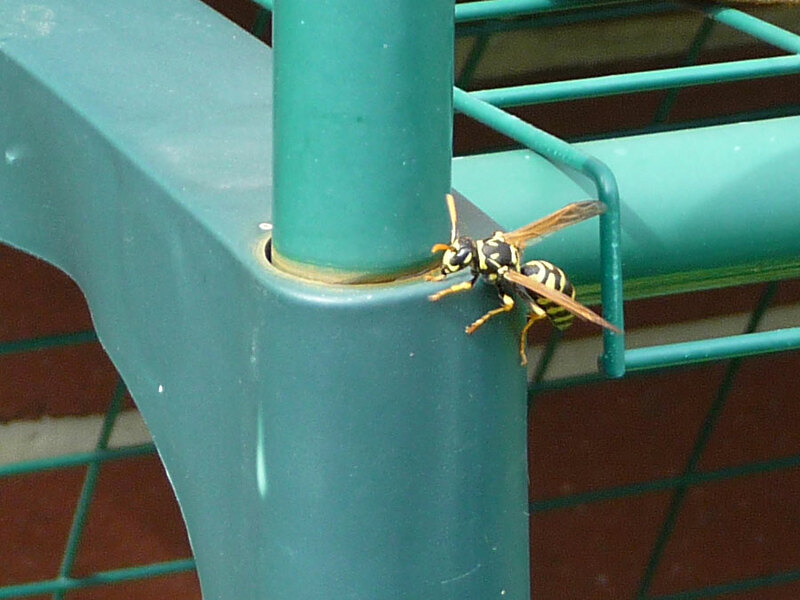 Do you want to attract pollinators? 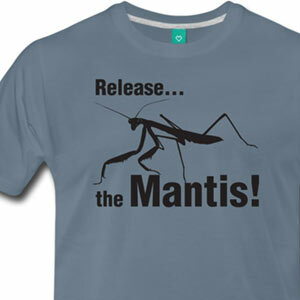 Do you want predators like preying mantids to make camp for the summer? Then step outside of your garden and spend time looking at your landscape too. 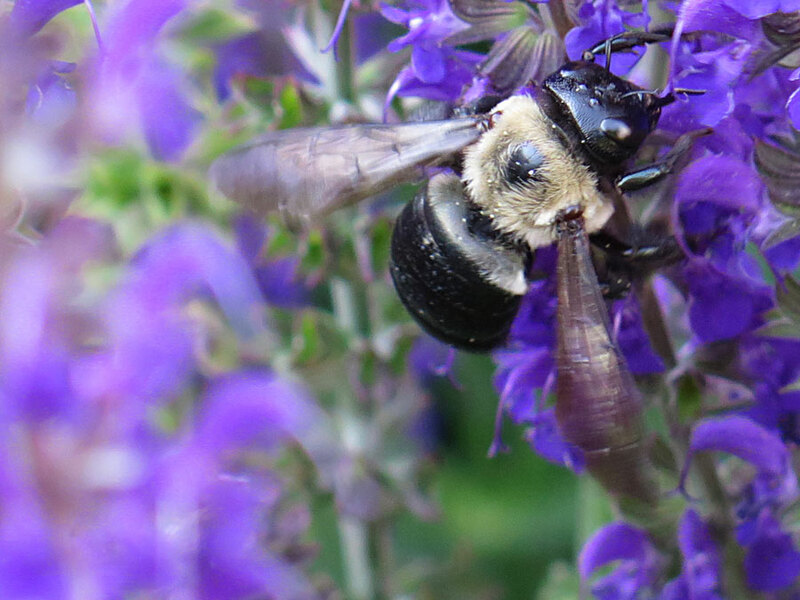 Select some bee friendly perennial flowers. 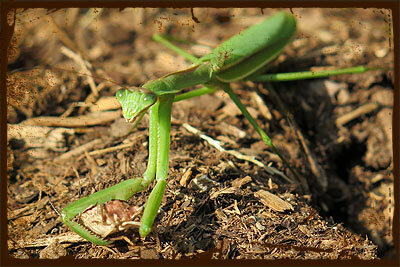 Put in some herbs that will beautify your property while providing a home for beneficial insects. Lush, high density plantings of perennials paired alongside your traditional garden annuals will support a robust, healthy community. Year after year you will notice the ranks growing as balance is achieved in your little backyard ecosystem. IMMIGRATION: BOLSTERING THE RANKS. Impatience can sometimes get the better of us. 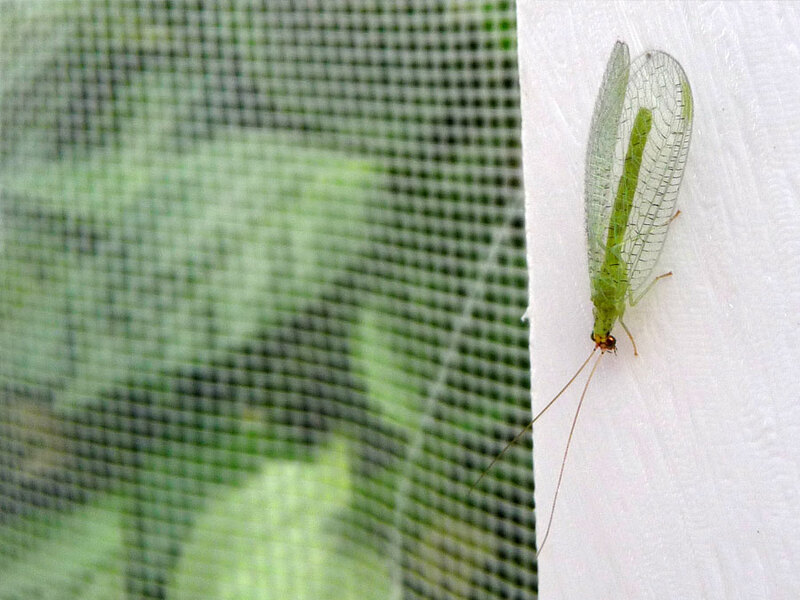 We may want to see predators NOW, rather than waiting five years to see our first resident green lacewing. 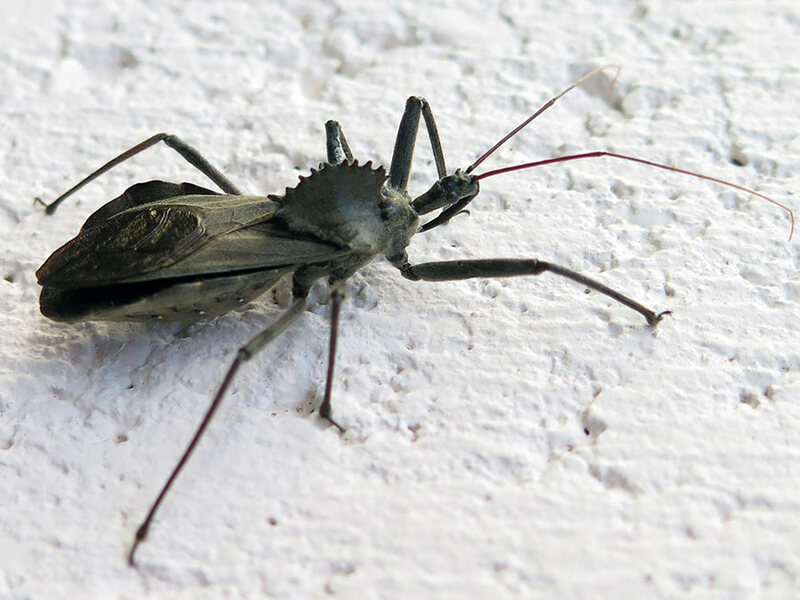 If you don't mind spending a few bucks, there is always the option of ordering benefical bugs online. 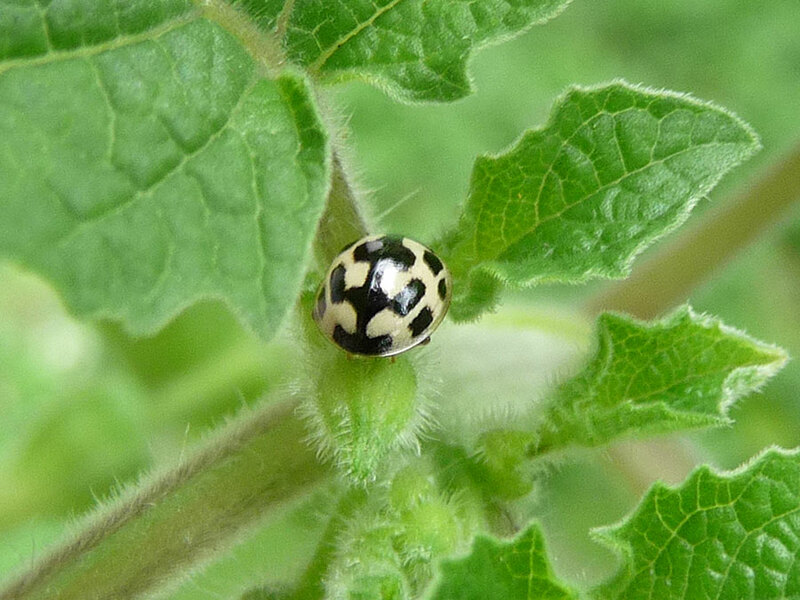 Lady bugs, preying mantids, parasitic wasps and predatory mites can all be introduced to try to restore order in your garden. Some feel this is a waste. 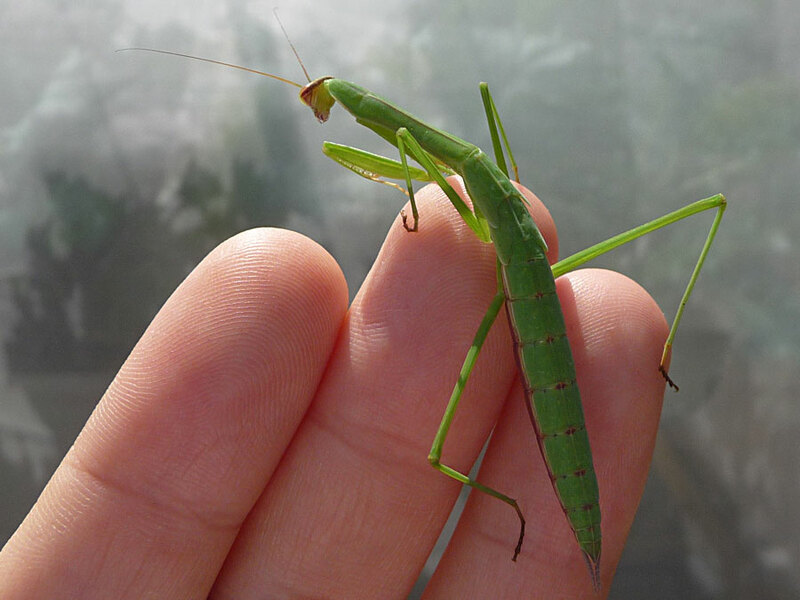 After all, many of these guys will just fly away, abandoning your prized tomato plant. Perhaps they will colonize your neighbors' gardens instead. Really now, is that such a bad thing? 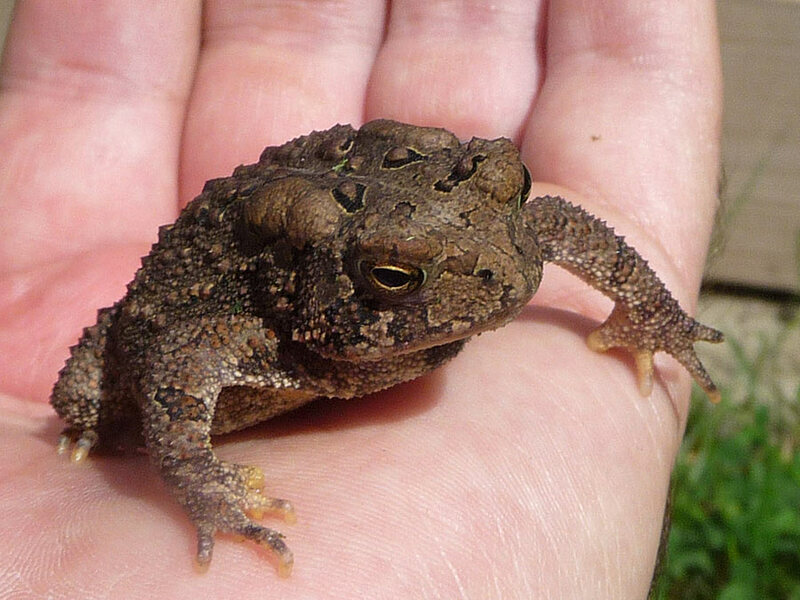 Meanwhile, if you've built up a habitat, at least a few will stick around on your property. Watch this preying mantis munch down on a stink bug!